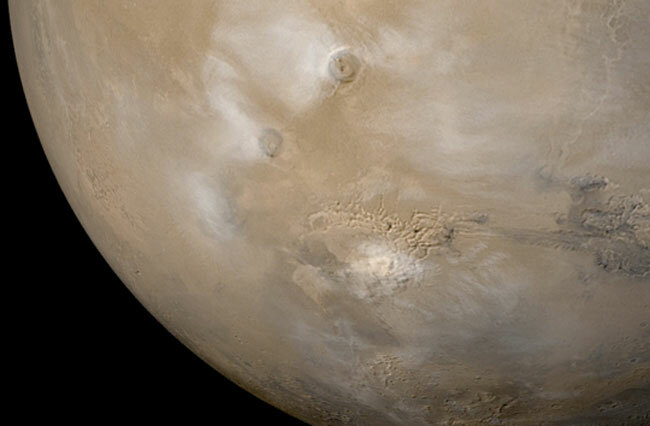 Explanation: Fogs of clouds and dust covered parts of southern Mars during last Martian winter. Giant volcanoes, such as Ascraeus Mons, the central circular feature near the top of the image, were surrounded by large water clouds. Slightly southwest, Pavonis Mons and Arisa Mons also peeked above their water clouds. The rough terrain below center is Labyrinthus Noctis, a maze of deep troughs running over 200 kilometers long. Directly south, a large white dust storm fogs Syria Planum, a large plateau. 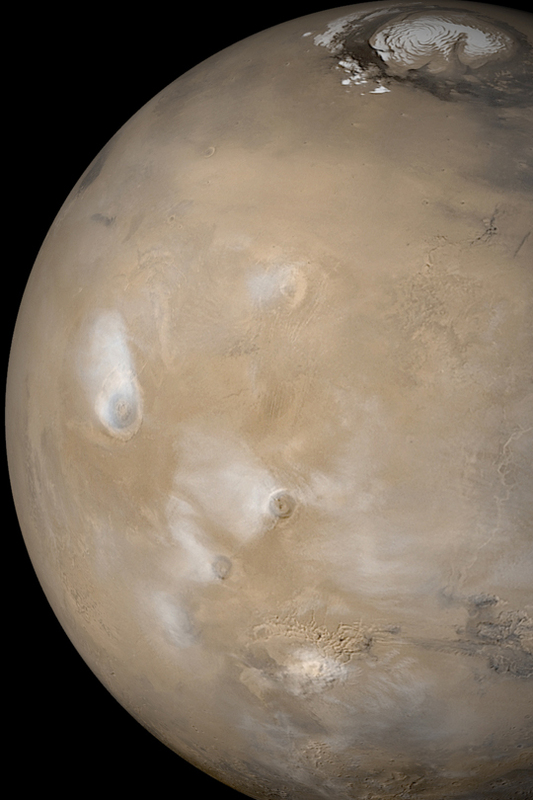 This image mosaic was taken by the Mars Global Surveyor spacecraft currently orbiting Mars. Soon, five more Earth-launched spacecraft should arrive at the Red Planet, named for the Roman god of war.